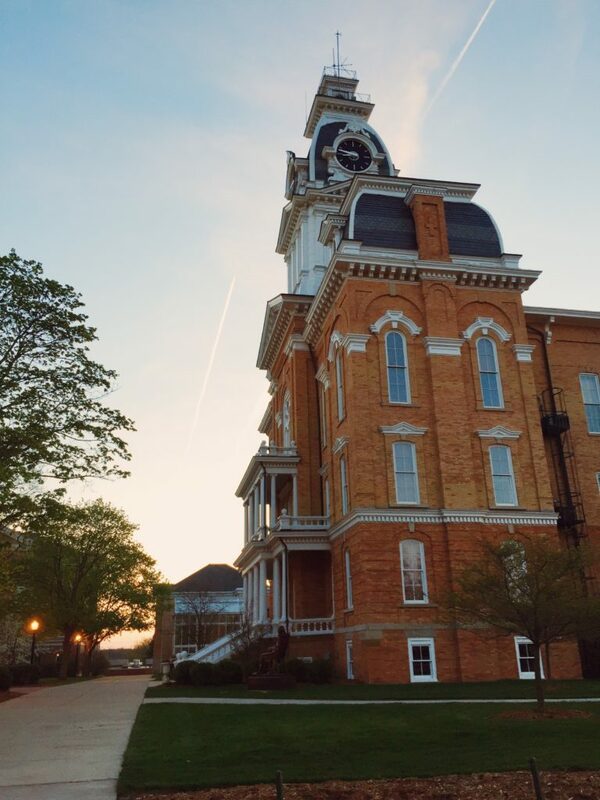 Hillsdale stu­dents’ course reg­is­tration days will be based on entry year, not credits earned outside of Hillsdale College, starting in the fall of 2019. The Hillsdale College admin­is­tration has decided — starting with the incoming freshman class in the fall of 2019 — to limit all credits which determine a student’s standing for reg­is­tration to only credits earned at Hillsdale College. All other credits from outside col­leges and uni­ver­sities and from exams such as the Advanced Placement, CLEP, and Inter­na­tional Bac­calau­reate, will no longer count toward the reg­is­tration date. This change will not affect current Hillsdale stu­dents, who will con­tinue to reg­ister using the existing system until they graduate, according to Hillsdale College Reg­istrar Douglas McArthur. McArthur said the college will still accept transfer credits to con­tribute to overall credit count, just not for deter­mining what day a student will reg­ister. “Stu­dents will con­tinue to take AP courses, and stu­dents can still earn credit, but for the pur­poses of reg­is­tration, we just won’t be including those,” McArthur said. McArthur said there are no plans for any excep­tions regarding transfer stu­dents. “The admin­is­tration believes this is an improvement in terms of giving stu­dents equal access to courses according to their class level,” McArthur said. According to Dean of Women Diane Philipp, many stu­dents com­plained that they were unable to get certain classes because under­classmen with outside credits were able to reg­ister first. Philipp con­tinued by saying that stu­dents who have been here the longest should have pri­ority. “The stu­dents who have been here the longest should have the oppor­tunity to select the courses and the time slots — it’s kind of the perk of the senior year. And a lot of kids get what they want, but some­times you just have your eye on that one class; and at Hillsdale, we don’t always teach every class every semester either,” Philipp said. Some stu­dents around campus had both pos­itive and neg­ative reac­tions to the administration’s decision. Junior Stephen Rupp wel­comed the decision. Other stu­dents dis­agreed and said that the change was a bad idea. Freshman transfer student Luciya Katcher said the change penalizes transfer stu­dents. “The only benefit of doing post-sec­ondary work or trans­ferring into Hillsdale is getting the priv­ilege of sched­uling according to your credit status, and when you take that away, there is a lack of incentive for going the extra mile and doing that extra work when you’re young or when you’re at a dif­ferent college,” Katcher said. Katcher said this change affects her own sit­u­ation. does this change require this much text? Well, that basi­cally kills transfer stu­dents ability to reg­ister. Junior based on hours, and need to schedule junior level classes, sched­uling with freshman class. That’s going to work out well.